I had so much fun in Torquay last year that me and my mates decided to go again. It was so relaxing to have a few days off with no work to worry about and without religiously checking emails and twitter. I'm so jealous of people who live near the sea, it really was beautiful down there. I wore my new Primark jumper, a F21 ring and New Look necklace on the way down. The forecast wasn't great so I packed loads of jumpers and we got there at it was 20+ degrees so I was boiling hot all weekend. We got there and went for a huuuuge meal and then went to the club house and joined in with the karaoke. Everyone there was 60+ so we thought it would be appropriate to sing the Spice Girls with full dance routine and we also sang the Tom Jones version of Kiss. 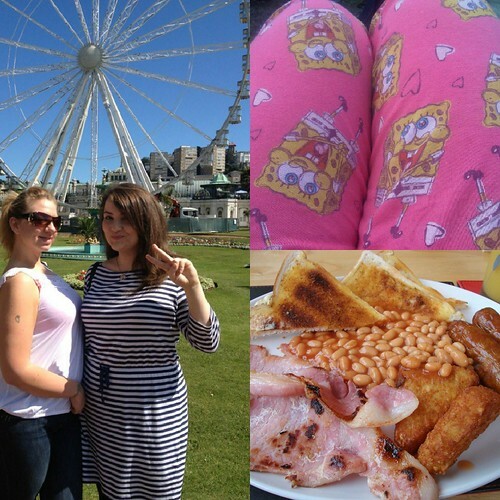 We went for a nice day on the beach in Torquay, I spent the most of my weekend in my spongebob pjs because it was so warm and we had a huuuge fry up on Saturday morning. I swear I consumed about 20,000 calories in pringles and minstrels this weekend. 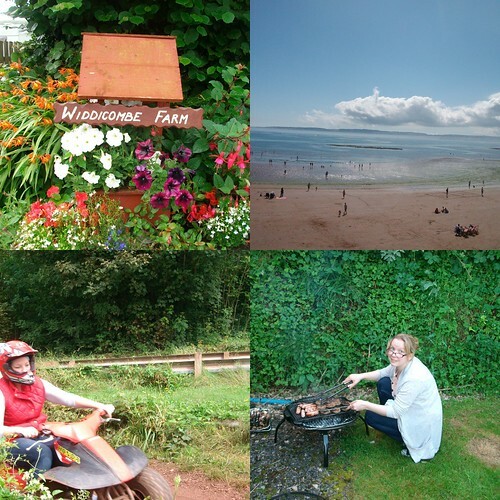 We stayed on a great site with some very interesting caravan neighbours, went quad biking and had a bbq before getting out the board games and watching series one Community. It really is the simple things in life that are so nice. The weekend away cost next to nothing, the weather was lovely and I had amazing company. Perfect. It looks like you had a lovely time Gem, and I really love your Primarni jumper. Its gorgeous as is the spiky necklace! Looks like you had a lovely time- I am so happy to be back home for a week next to the sea!Also, I bet it was full of old people- they love it! Nice jumper by the way. I really like it with the necklace. LOVE your outfit! something i would sooo wear! 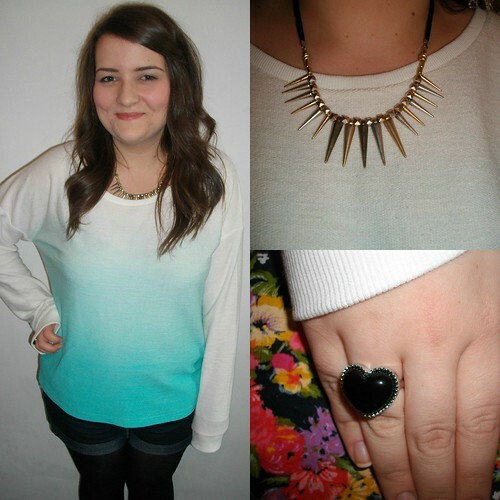 I love that Ombre jumper! I need one! It looks like you had a lovely time away!